The midges (order Diptera, family Chironomidae) account for most of the macroinvertebrates in freshwater environments. In many aquatic habitats this group constitutes more than half of the total number of macroinvertebrate species present. The family is also the most widely distributed group of insects, having adapted to nearly every type of aquatic or semiaquatic environment. The larvae, which are recognized because they usually have anterior and posterior pairs of prolegs, are diverse in form and size. Larvae are often the dominant insect in the profundal and sublittoral zones of lakes, and consequently adults are sometimes called "lake flies". Species in larger lakes may emerge in such tremendous numbers that they create nuisance problems. The short-lived adults cause allergies in some people, invade factories, spot the paint on houses, and accumulate in large, odorous piles. Larvae are an extremely important part of aquatic food chains, serving as prey for many other insects and food for most species of fish. The subfamilies Chironominae, Orthocladiinae, and Tanypodinae contain the great majority of the species in the family in North America. Of these, the Tanypodinae and Chironominae are generally most common in lentic warm-water habitats, while the Orthocladiinae are found mostly in lotic and cold-water habitats. The Chironomidae, commonly known as non-biting midges, is a large, cosmopolitan family of nematocerans whose adults are small and delicate and superficially resemble mosquitoes. The separation of the Diptera, as potential or actual inhabitants of deep water, from the other orders of immature aquatic insects is justified by the fact that an elaborate classification of lake types has been built upon the ecology of the deep-water Chironomidae (true midges) and their associated organisms. The question as to why, among all the aquatic insects with gills, this family of Diptera has alone significantly exploited the depths of lakes is of considerable interest. The generally small size, at least in the lacustrine Diptera, is doubtless important in this invasion. The midge larvae found on the shelf and in the deep water of a lake differ in appearance to their smaller pale coloured cousins found in the shallow water. These are generally large larvae (>1/2 inch) that are red coloured, hence the term "blood worm". The red colour is due to the presence of hemoglobin that stores oxygen. This allows them to live in areas that have limited oxygen conditions such as lake bottoms or areas of high organic pollution. The oxygen is exchanged across the cuticle and some forms have tubular gills extending ventrally near the caudal end. These tube makers create a current in their tubes by undulating the body so that water passes through the tube. Lakes that have higher oxygen levels in the hypolimnion (oligotrophic-mesotrophic lakes) often contain large populations of midge larvae. The benthos of the deep water (= hypolimnion) is dictated by the presence and duration of oxygen. The bottom fauna will be reduced or absent in lakes where the deep water looses oxygen for the duration of summer stagnation, or in winter. A mesotrophic system with a stable thermocline in the summer months looses most of its oxygen for a time during stagnation but not for the entire period. The bottom fauna may be limited to a few non-biting midge larvae (Chironomus sp. ), a biting midge (Palpomyia sp.) and a phantom midge (Chaoboruss punctipennis). Like other dipterans, chironomids have four life stages; egg, larva, pupa, and adult. The larvae are long (2 to 30 mm, depending on species) and slender and often assume a slightly curved posture, particularly when preserved. Larvae pass through 4 instars before pupating. The duration of the larval stage may be from two weeks to several years; it seems to depend mostly on temperature. The pupal stage lasts no more than a few days. Adult chironomids are minute (e.g. wing length 0.8 mm in Orthosmittia reyei) to medium-sized (wing length 7.5 mm in Chironomus alternans) insects. The mouthparts are generally reduced, as few adults live for more than a few days. Adults often emerge, simultaneously, in huge numbers, and proceed to form vast mating clouds. They are especially attracted to lights. In temperate regions, many chironomid species are uni- or bivoltine, but up to four generations in a year are not uncommon. Species living in the cold, profundal zones of deep lakes may take more than one year to complete their life cycles, and circumpolar species require at least two years, and occasionally, as many as seven. In such long-lived species, the larvae coil up in cocoons and overwinter under freezing conditions. In highly transient, tropical habitats such as rainpools, life cycles may be as short as a few weeks. The distribution of chironomids extends to both the northern and southern limits of land, and they are the dominant group in the Arctic. As well as occurring in all the "usual" types of freshwater habitat (streams, rivers, lakes and ponds), many are terrestrial or semi-terrestrial. Others live in pitcherplants, leaf axils or tree holes, and some are marine. living in tidepools or even on tropical coral-heads to a depth of 30m. Two species are known from Antarctica and these represent the southernmost, free-living, holometabolous insects. The majority appear to be opportunistic omnivores, feeding on diatoms, detritus, and other small plants and animals. Chironomid larvae exhibit a variety of feeding habits. Most adults do not feed. The predictable responses of populations of certain species to different levels of a variety of pollutants has resulted in the use of larval chironomids as biological indicators of water quality. Additionally, chironomid larvae are essential components in the efficient biological processing that takes place in the oxidation ponds of sewage treatment plants. Water quality also determines chironomid distribution, and within the family a wide range of tolerance is displayed. Some Tanypodinae and Chironominae are very tolerant of low levels of dissolved oxygen. Chironomus plumosus larvae are able to withstand a pH value of 2.3. Cricotopus bicinctus is known for its tolerance for many substances, including electroplating wastes and crude oil. Other members of the family are known for their intolerance for poor water quality. Ultraoligotrophic (Lake Type I): Heterotrissocladius oliveri lakes in North America, and Heterotrissocladius subpilosus lakes in Europe. Oligotrophic (Lake Type II): Tanytarsus sp. (Chironominae: Tanytarsini) lakes (with Monodiamesa tuberculata and Heterotrissocladius changi) in North America, and Tanytarsus lugens lakes (with Heterotrissocladius grimshawi or H. scutellatus) in Europe- these are usually deep lakes which never lack oxygen in deep water. Chaoborus tends to be absent. Mesotrophic (Lake Type II/III): Chironomus lakes- these have oxygen curves typical of lakes of intermediate nutrient content, and characteristically support species of Chironomus that lack ventral abdominal gills. Chironomus atritibia and Sergentia coracina lakes In North America, and Stictochironomus rosenschoeldi and Sergentia coracina lakes in Europe. Eutrophic (Lake Type III): Chironomus lakes- these are usually shallow and turbid, and have, in general, oxygen curves characteristic of eutrophic (nutrient-rich) lakes. They are dominated by species of Chironomus (Chironominae: Chironomini) in which the larvae typically have two pairs of ventral abdominal gills. The culicid Chaoborus is often present in open water. Moderately eutrophic: Chironomus decorus lakes in North America, and C. anthracinus lakes in Europe. Strongly eutrophic: Chironomus plumosus in North America as well as in Europe. Dystrophic (Lake Type IV):- these also have variable amounts of nutrients, but they are always high in humic compounds which colour the water brown. They tend to be shallow but can experience oxygen deficiencies in deeper parts. Chironomus sp. lakes (with Zalutschia zalutschicola) in North America, and Chironomus tenuistylus lakes (with Zalutschia zalutschicola) in Europe. Chaoborus are often present but their densities are low. Trissocladius lakes (Orthocladiinae)- these become stratified, but are of inconsistent trophic status. Unstratified, faunistically and limnologically diverse lakes. Such distinctions have proved useful in comparing lakes within the Holarctic, but in a country like New Zealand, where the chironomid fauna is particularly depauperate, they have little or no value as biological indicators. The same tends to be true of the littoral fauna, in general. For example Saether (1975) showed that although lists of littoral dipterans from lakes in both Europe and North America identified some species restricted to oligotrophic systems, those found in eutrophic lakes tended to be more widely distributed and therefore less useful. Further, seasonal differences in littoral species from a given lake are greater than those seen in profundal species. Shallow lakes therefore fit existing classification schemes less well than deep lakes. Benthic community metrics can be very useful in ranking the health of specific sites, but this study shows that more detailed metrics (e.g., taxonomically detailed chironomid data, Chironomus mouthpart deformity frequencies) provide additional information on community health that justifies the extra effort required for their assessment. The mean density of the family Chironomidae decreased (R2 = 0.41, p = 0.01) with increasing factor scores (i.e., higher trace element concentrations, As, Cd, Cu, Fe, Hg, Mn, Ni, Pb, and Zn). Mean richness and diversity of the chironomid community were strongly negatively associated with factor scores (R2 = 0.77 and 0.76, respectively, p < 0.001), while the prevalence of the tolerant genera Procladius and Chironomus increased with trace element levels (R2 = 0.55, p = 0.002). Mouthpart deformities in larvae of Chironomus thummi group also increased with higher trace element levels (R2 = 0.72, p < 0.001). Mouthpart deformities of Chironomus larvae (mostly thummi species group) were assessed, and were reported as the % of larvae in each sample displaying distinct aberrations within the mentum. Deformities included missing or extra mentum teeth, fused or misshapen teeth, gaps within the mentum, and notable asymmetry. Chironomid larvae are known to bioconcentrate a number of contaminants, and there is some evidence associating deformities with bioconcentration. Higher tissue concentrations of polycyclic aromatic hydrocarbons (PAHs) in deformed vs normal larvae of Chironomus anthracinus in the Welland River, Ontario were noted by Dickman et al (1992). Janssens de Bisthoven et al (1992) measured higher levels of Cu and Pb, but not Cd or Zn, in deformed vs normal larvae of Chironomus thummi in the Dyle River, Belgium. Parameters of condition between normal and deformed fourth instar larvae of Chironomus gr. thummi were compared in four populations: one reference (PE) and two metal-polluted sites (NP and SCH) in the River Dommel, and one site polluted by domestic sewage and copper in the River Ijse (NEI). The site PE ranked lowest for metal body burdens, deformities, mortalities and emergence duration, while SCH and NEI ranked highest. Deformed and non-deformed larvae most often did not differ in length and weight (in situ end-points for growth); when differences occurred, deformed larvae tended to be smaller. The energy content and dry weights in one population (NEI) were lower in normal larvae than in the weakly deformed ones. The percentage of ash-free dry weight was lower in deformed larvae of the polluted Dommel sites, compared to the normal ones. The in vitro emergence rate (end-point for development of fourth instars) for the reference population PE, both in its own sediment and in artificial cellulose substrate, was better than for the other sites. In two populations (NEI, SCH) the development of deformed larvae in their own sediment was slower, with higher mortality, than for the normal larvae. In one population (NP), normal and deformed larvae survived and developed equally well. The emergence rates of the respective populations were similarly ranked when the larvae were raised in an artificial cellulose substrate. Elution peaks of alleged metal-binding proteins were lower in deformed larvae from SCH and NEI, but higher in deformed larvae from NP, than in normal larvae. A different development rate and mortality of deformed larvae in non-adapted populations and the possibility of metal adaptation, as in site NP, may modulate the final outcome of deformity frequencies, thus having an impact on the biomarker value of deformities in benthic midge larvae. Diggins, T.P., and Stewart, K.M. 1998. Chironomid deformities, benthic community composition, and trace elements in the Buffalo River (New York) Area of Concern. J. N. Am. Benthol. Soc. 17(3):311-323. Hutchinson, G.E. 1993. A Treatise on Limnology. Vol. IV, The Zoobenthos. Ed. Y.H. Edmondson. John Wiley & Sons, Inc. 944 pp. Narf, R. 1997. Midges, bugs, whirligigs and others: The distribution of insects in Lake "U-Name-It". Lakeline. N. Am. Lake Manage. Soc. 16-17, 57-62. Peckarsky, B.L., P.R. Fraissinet, M.A. Penton, and D.J. Conklin, Jr. 1990. Freshwater Macroinvertebrates of Northeastern North America. Cornell Univ. Press. 442 pp. Resh, Vincent H., and David M. Rosenberg. Eds. 1984. The Ecology of Aquatic Insects. Praeger Publishers, CBS Inc., New York. 625 pp. Thorp, J.H., and A.P. Covich. 1991. Ecology and Classification of North American Freshwater Invertebrates. Academic Press, Inc. 911 pp. Wetzel, R.G. 1983. 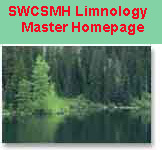 Limnology. 2nd ed. Saunders College Publishing. 767 pp. Williams, D.D., and Feltmate, B.W. 1992. Aquatic Insects. CAB International. ISBN: 0-85198-782-6. xiii, 358p. Mandaville, S.M. 1999. Bioassessment of Freshwaters Using Benthic Macroinvertebrates-A Primer. First Ed. Project E-1, Soil & Water Conservation Society of Metro Halifax. viii, Chapters I-XXVII, Appendices A-D. 244p.